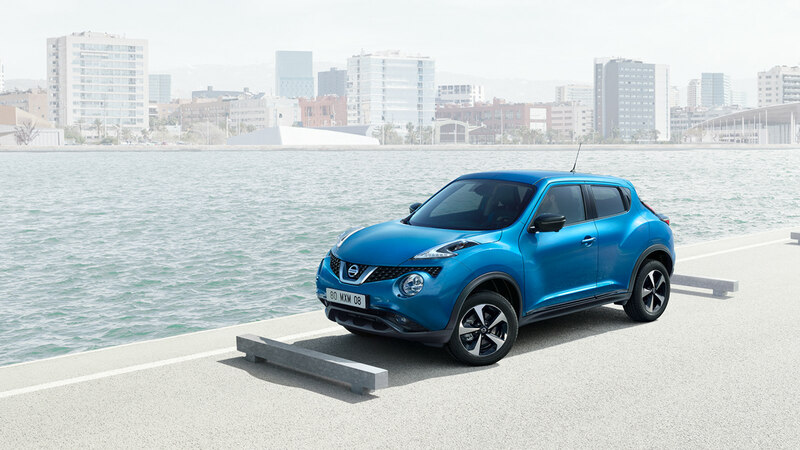 TBWA/Paris had assigned Nick Meek to produce four different campaign images of the Nissan Juke on location in Spain, all during the daytime, all with a car in place. 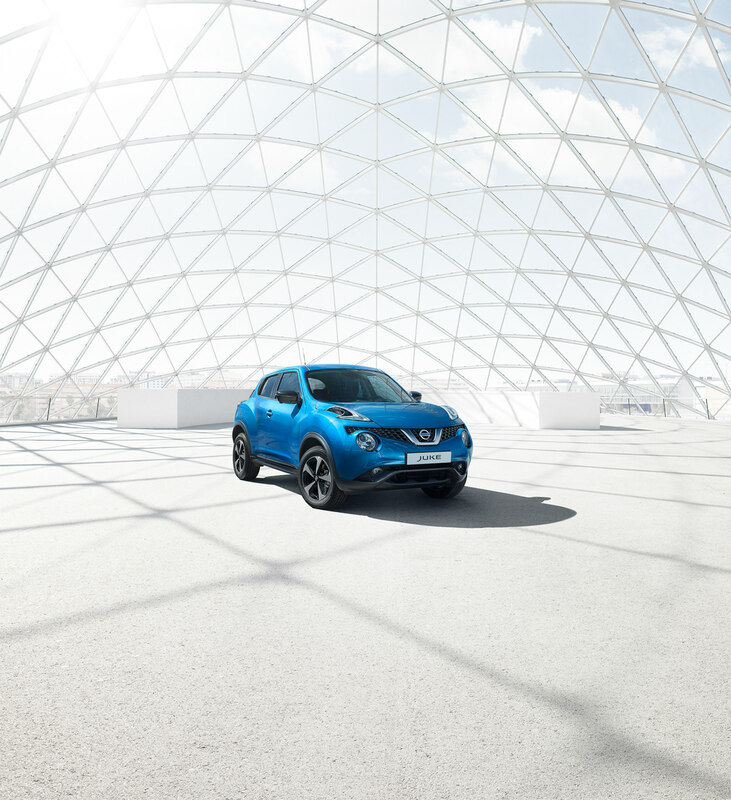 We travelled to Spain with Nick to shoot the car in a series of elegant architectural settings. For post-production, this involved a wide spectrum of skills - from shooting duplicate cars in order to avoid complex reflections, bringing sunshine to a rainy day, and finally a dramatic day-to-night conversion. This particular angle was photographed at the Feria Valencia, a convention centre complex in Valencia. Providing on-set support, Christoph Bolten from our London studio began compositing the shots and captured additionally needed details. In post we exchanged the highly reflective ground tiles for a more subtle, texturized surface and removed the walls and light fixtures to extend the glass dome to the floor. 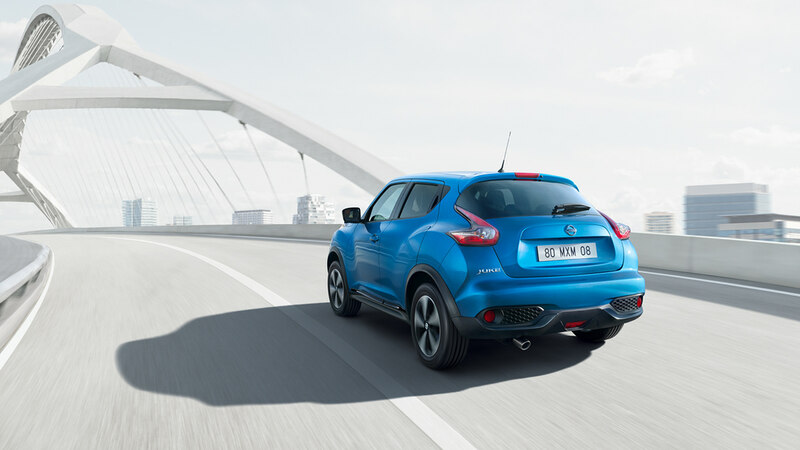 The published result was a beautifully desaturated high key series with a vibrant blue car popping out. Later on the idea was born to turn the Feria shots into a nighttime version, featuring a dark custom accessorized model. 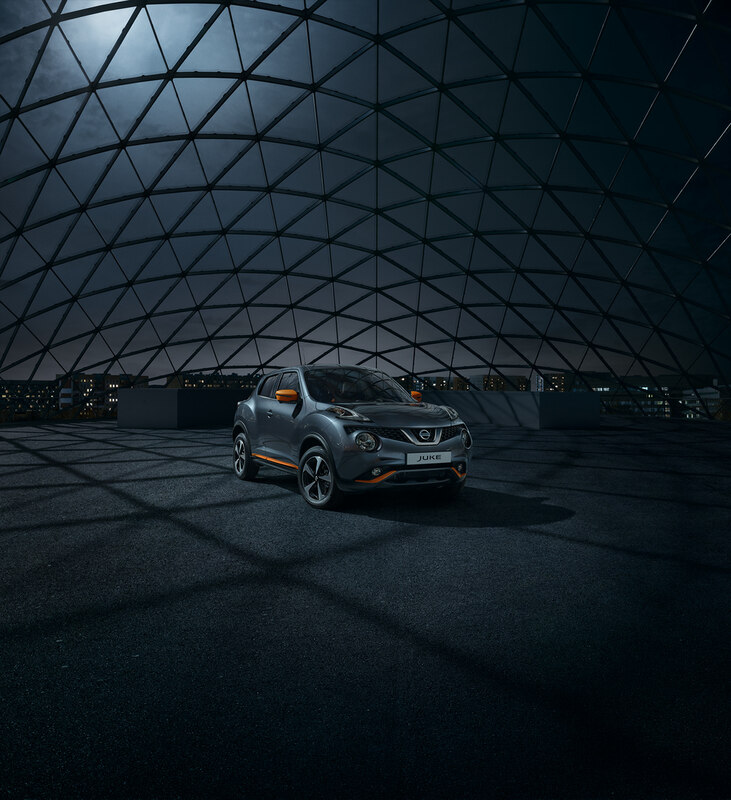 Thus our London team went at it again and transformed the bright shot into a moonlit scenario, exchanging the car model in CGI and adding a skyline to the background. 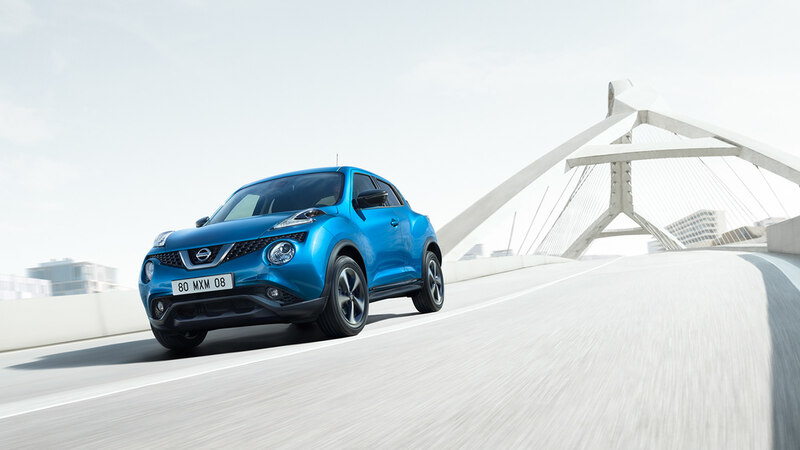 And join us on location in Spain for a look behind the scenes on our blog here.